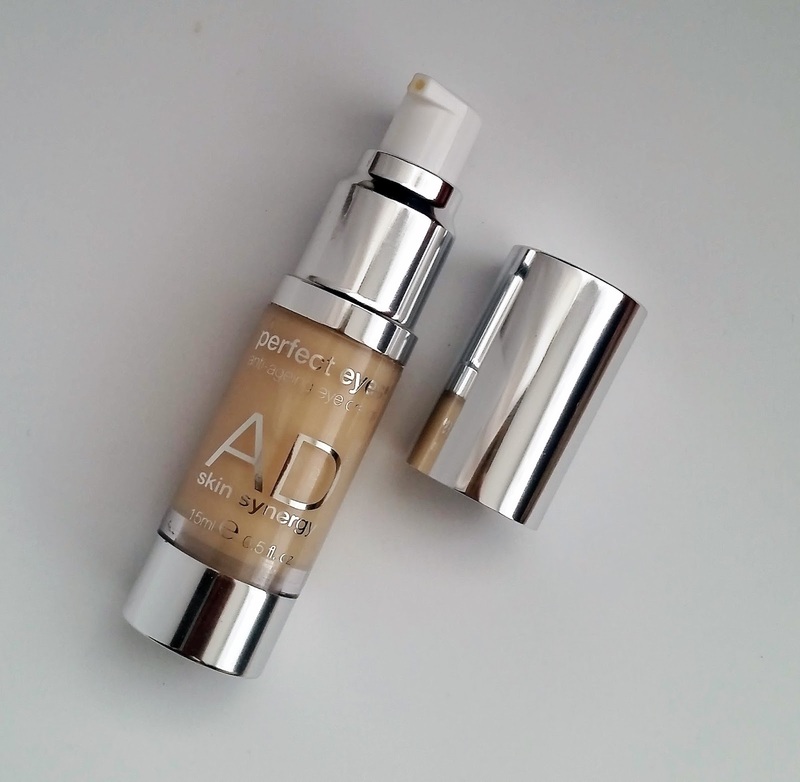 Home / SkinCare / AD Skin Synergy Perfect Eyes Anti-Ageing Eye Cream. 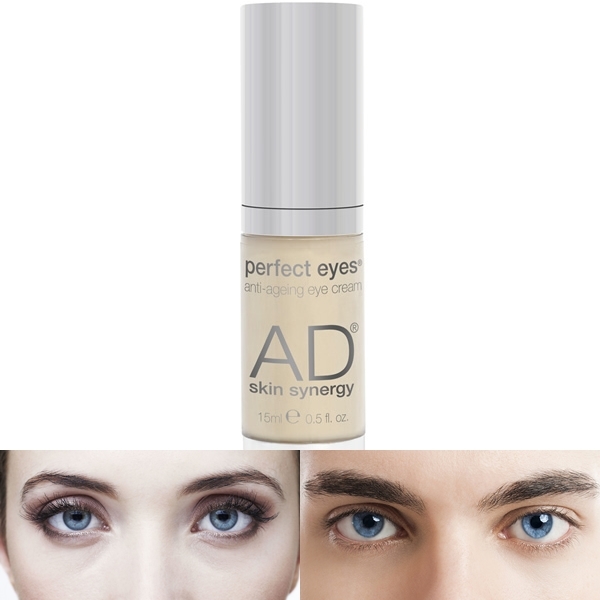 AD Skin Synergy Perfect Eyes Anti-Ageing Eye Cream. AD Skin Synergy was created as a serious natural and organic skincare brand to help women, and men, whatever their skin type as the ageing process takes place. The AD Skin Synergy range consists of "quality over quantity" products, to help you follow a simple skincare routine for achievable results. AD Skin Synergy is passionate about only including natural, organic and ethically sourced potent ingredients which are uniquely blended with pure lipids to penetrate deep into the skin’s layers and deliver a powerful supply of antioxidants and intensive regenerative nourishment to visibly improve the look and condition of the skin. Why use an eye cream? The skin around the eyes is more fragile, more prone to dryness, and quicker to show age and fatigue. Squinting and constant movement of the eyes also hasten the appearance of lines and wrinkles, and fluids collect under the eyes and cause puffiness and dark circles. Eye creams can address some of these issues. Perfect Eyes anti-ageing eye cream has been scientifically proven to reduce the appearance of wrinkles by up to a staggering 40% and increase skin hydration by over 70% in just 30 minutes - and this hydration lasted for 24 hours. 100% natural. No parabens, no petrochemicals and no artificial perfumes. Ingredients in AD Skin Synergy Perfect Eyes Anti-Ageing Eye Cream 15ml. Aqua (Water), Prunus Armeniaca (*Apricot) Kernel Oil, Cetearyl Alcohol, Hamamelis Virginiana (Witch Hazel) Extract, Rosa Canina (*Rosehip) Fruit Oil, Oenothera Biennis (*Evening Primrose) Oil, Glycerin,Candelilla/Jojoba/Rice Bran Polyglyceryl-3 Esters, Glyceryl Stearate, Galactoarabinan, Plukenetia Volubilis Seed Oil, Butyrospermum Parkii (*Shea) Butter, Persea Gratissima (Avocado) Oil Unsaponifiables, Sodium Stearoyl Lactylate, Alcohol Denat., Hydrolyzed Lola lmplexa Extract, Levulinic Acid, Tocopherol, beta-GLUCAN, Sclerotium Gum, p-Anisic Acid, Lonicera Caprifolium (Honeysuckle) Flower Extract, Chitin, Helianthus Annuus (Sunflower) Seed Oil, Sodium Levulinate, Phytic Acid, Lonicera Japonica (Honeysuckle) Flower Extract, Allantoin, Sodium Hyaluronate, *Aspaiathus Linearis Extract, Maltodextrin, Sodium Phytate, Rosa Centifolia Flower Extract, Avena Strigosa Seed Extract, Lecithin, Citrus Aurantium Amara (Bitter Orange) Flower Extract, Chlorella Vulgaris Powder, Tocopheryl Acetate, Ascorbyl Palmitate. Linalool, Limonene. *certified organic. Apply a small amount onto your fingertips and gently massage around your eye area, then lightly pat the area with your fingertip. If your not sure where an eye cream fits into your skincare regime the thought is if you're eye cream is richer and denser than your moisturiser, apply after it. If it's lighter than your serum, apply before. 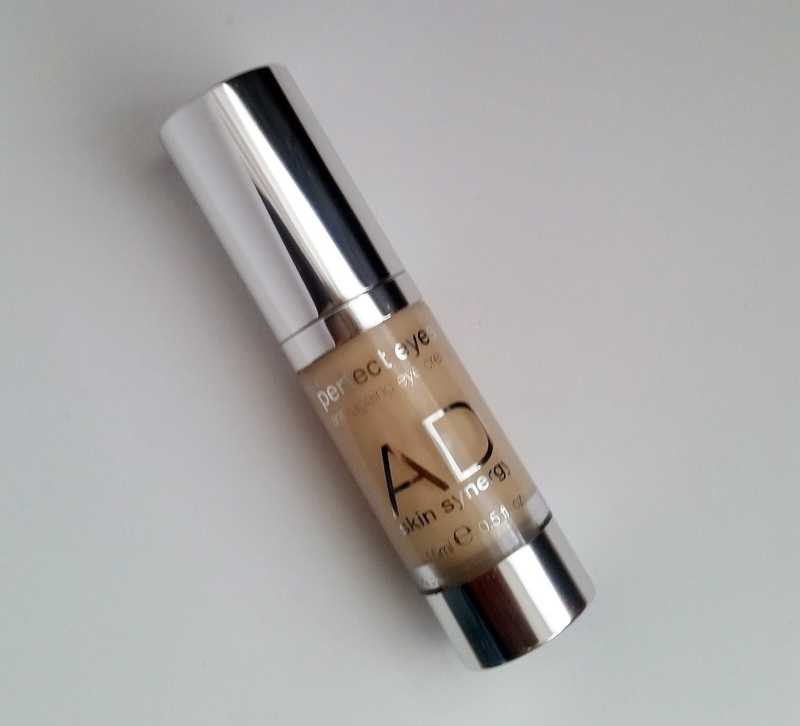 On first use, i can understand why AD Skin Synergy Products are highly acclaimed by beauty journalists. The Perfect Eyes Anti-Ageing Eye Cream quickly absorbs on application whilst intensively hydrating the eye area. Skin feels silky smooth without feeling sticky or greasy and the eye cream works in perfect harmony with your other skincare products. Using any product around the delicate eye area is really important but you can be assured that all AD Skin Energy products are 100% natural. No parabens, no petrochemicals and no artificial perfumes. Find out more about this must-have eye cream at ManOrganic. X Neil.